Apart from fighting corruption, improving governance is one of the major problems of Pakistan. Bad governance means that the state and its institutions are not fulfilling their tasks. This disturbs the service delivery for the citizens and makes their lives miserable, prevents the economy from taking off by delaying, mismanaging and hindering investment and wasting government money and other resources. People get frustrated by incompetence, red tape and delaying tactics that opens doors to corruption and bribery. When Imran Khan took over as PM people expected less of the same rather than more of the same. Unfortunately that perception seems to be taking hold among the public because of bad personnel choices for service delivery made by the Imran Khan govt. A state is not meant to be a self-service shop for its employees but a service provider to society. If the state cannot do that and this starts to become obvious we call it a failed state. In his recent remarks during a short visit to Pakistan former US Ambassador to Pakistan and now President Eastwest Institute (EWI), Cameron Munter, indicated what is a hometruth, that most of the development aid and effort of the US has been going to waste because the money and projects could not be effectively absorbed by Pakistani institutions. In most of the cases the money ended up feeding corruption. So even development aid becomes obsolete when the institutions to handle it are not competent, efficient and running smoothly. The improvement of governance in Pakistan is – after fighting corruption – the second most important task on the way to ‘Naya Pakistan’. There are two ways to do it, one is to improve the institutional set-up and the second is to find the right person for the right job. Concerning the first component, the Dr Ishrat Hussain Commission is working on improving the institutional set-up and reorganizing the civil service. Given vested interest it is no surprise that the proposals which the commission has made are hitting into resistance by those who fear that in the new system they might be disempowered or set aside. That already explains why the second task – finding the right person for the right job – is getting to be so difficult. Merit meaning professional qualification, experience and character have to be made the sole factors for giving anybody a job at all levels of employment. This is very important in a country, where merit in fact becomes a disqualifier. This will be seen in graphic detail when you start trying to implement change in the mode of selection. Those who are already in the system and who got there by chance or pure nepotism through the help of family or friends will feel threatened in their position by those who come up on merit. The newcomers in many cases will be better qualified and suited for the job. Moreover having come on merit they will have no tolerance for a superior or colleague who has not. Feeling threatened the old guard will make it as difficult as possible for the newcomers to adjust. While the task is daring, can it be regarded as impossible and abandoned because of that? No, it can’t. A way must be found to bring in new and better qualified workforce through careful selection done by dedicated men and women ready to shun nepotism and the ‘you scratch my back I scratch yours’ practice. Apart from that we must recognize the ability for teamwork, dedication and humility in an applicant. A second way would be to qualify the people who are already on the job by giving the incentives to do so. Not all people in institutions are useless, many just need the right access to information and training on the job and some polish. To be ready after years in a job to go back to school and start the learning is proven again difficult for people who may be not so young anymore out of the learning process for many years. It demands dedication to the job and the institution (corporate identity) and the courage to take up the challenge. It also demands a sound amount of self-critique, to be able to critically look at oneself and one’s work and recognize one’s weaknesses. These capabilities are not very popular in Pakistani society. Rather than humility and taqwa, ‘ghairat’ is the order of the day. People are proud of themselves without any capacity for self-reflection and self-critique. The present criticism by the opposition about U-turns in politics is childish, in real life traffic u-turns are a preferred solution to direct traffic flows whereas in politics the revision of a political or economic decision has recently been criticized as inept, inexperienced or unprincipled. But isn’t it human to err and to take a wrong decision? Certainly it would have been better not to make a mistake to begin with, that is not always possible. And isn’t it just honest to admit a mistake and try to reverse it before things go from bad to worse and we keep justifying our mistakes? We all make mistakes in our lives, admitting it is not a shame but on the contrary it is courageous to admit it and take corrective measures. The Imran Khan government came with mostly inexperienced people and without the preparation needed to run a state. But that happens even in the US where there is a very deliberate transition period. So instead of laughing or pointing fingers especially those in the ministries and institutions, we should help the new government to learn and share the knowledge that is missing. This is why a civil service has to be apolitical and to serve whatever government is elected. On the other hand humility and self-critique is a must on the part of the new government, they should be ready to accept advice and learn. The primary strategy in improving governance is to find the right persons for the right job. Initially we must find a dedicated group of people who should screen the applicants thoroughly without looking at their family background and influential connections but only at their professional and personal qualification and experience. A thorough screening of degrees with the help of HEC and other institutions or entrance tests has become a necessity given the amount of fraud present among the educational institutions of all levels. Interviews testing characteristics like job dedication, capacity for teamwork, creativity and flexibility have to be conducted before a list of possible candidates can be formed. This process has to be absolutely thorough and transparent so that the both the failed and the winning candidates know exactly what are their strong sides and what are the deficiencies. Institutions and/or department of administration have to be made interested in getting the best candidate from the market and not the weakest who would not disturb the routine with unwanted changes, ideas and innovations. The world is changing and changes and adjustments are the need of our time. There can be no leniency for sluggishness and mediocracy. Without question one of the most competent persons in the PTI is Jahangir Tareen (JT). Unfortunately he has been disqualified from holding office for reasons that one cannot comment on being subjudice since he is still fighting a legal battle. 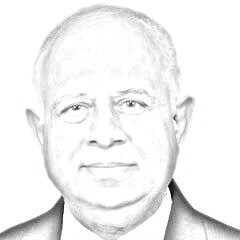 Being in limbo in the political twilight zone should not stop this major figure in Imran Khan’s political framework from working for the PTI and the national interest. JT should lead a core of competent persons for vetting and screening the right candidates for the right job. Unless this is done immediately the PTI govt will come to grief as is being predicted by the Opposition, sooner rather than later. Given Imran Khan’s honesty and sincerity of purpose, that would be a real tragedy (the writer is a defence and security analyst).